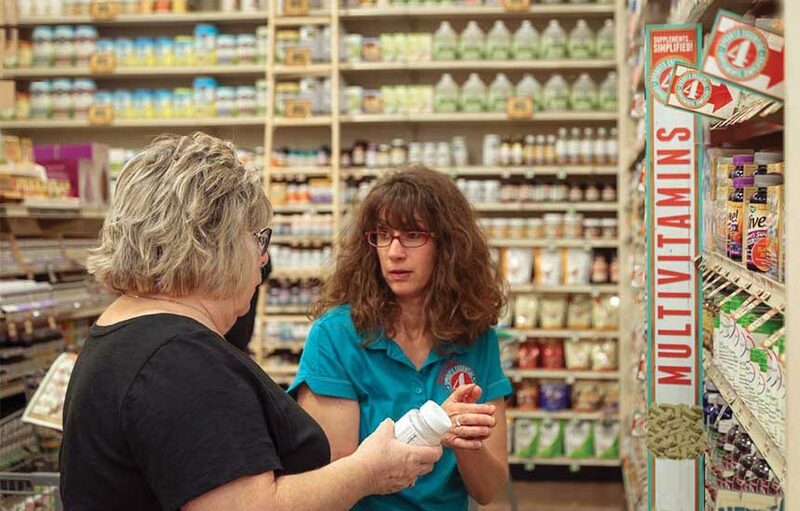 Some say natural is the new normal – but at Sprouts, there’s nothing new about natural foods! Back in 2002, we opened our first store in an effort to make natural foods available to everyone. Up until then, grocers offering fresh, organic choices were either too expensive to shop or too hard to find. We wanted to be different! No more weaving through a maze of narrow aisles without anyone offering to help. No more ingredient lists featuring 40 unpronounceable chemicals. And most of all, no more spending an entire paycheck for food from the honest effort of a farmer – not a factory. To us, being different is good! People thought we were crazy when we wouldn’t sell the country’s top-selling sodas, snacks and candy. But we believed that eating clean and living healthy was more than just a trend. At Sprouts, it’s our passion. And we knew that by focusing on farm-fresh produce and other healthy, affordable items, we could create a grocery experience where you didn’t have to be wealthy to eat healthy! So think of Sprouts as all of the very best parts of a real farmers market under one roof, open every day of the week. With our commitment to value in every department, and knowledgeable and friendly team members, we’re confident that once you shop Sprouts you’ll think different is good too. Today we have grown to more than 300 stores and over 30,000 team members. It’s these individuals who are the key to our success. 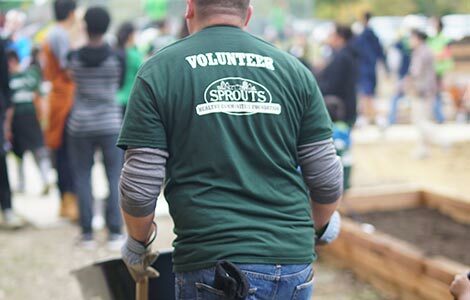 They’re the ones who put good at the heart of everything we do at Sprouts … every day, in every community, with every guest. In 1943, Henry Boney began Sprouts' longstanding legacy of providing fresh foods at great prices at his fruit stand in San Diego. 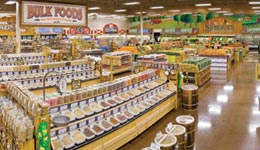 In 2002, “Healthy Living for Less” was born when Stan and Shon Boney, Henry’s son and grandson, opened the first Sprouts Farmers Market in Chandler, Ariz. 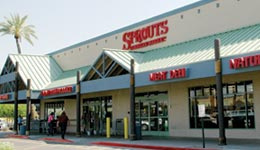 In 2011, Sprouts merged with Henry’s. The merger marked the end of the Henry’s name, but reunited the Boney family business. 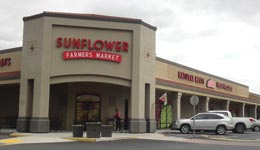 In 2012, Sprouts acquired Sunflower Farmers Market, which operated 37 stores. 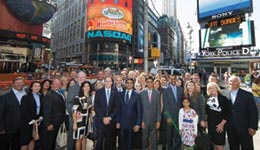 In 2013, Sprouts became a public company traded on the NASDAQ Stock Market. 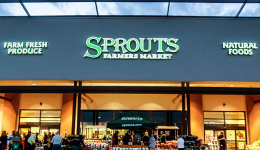 In 2014, Sprouts began its Southeast expansion by adding new stores in and around Atlanta, Ga. 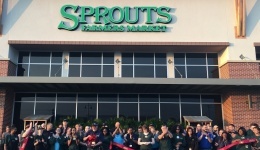 In 2015, Sprouts opened stores in three more southern states, bringing "Healthy Living for Less" to more than 200 stores coast-to-coast. 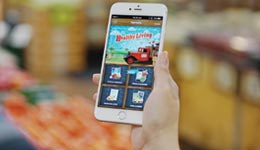 In 2016, Sprouts introduced mobile coupons to the Sprouts Mobile App, making it easier than ever to save on Sprouts' already low prices. In 2017, Sprouts continued its eastern expansion by adding stores in Florida and North Carolina, totaling 15 states in its 15th year of business. 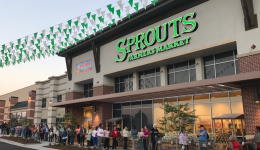 In 2018, Sprouts will open approximately 30 new stores across the country, including four new states: Maryland, Pennsylvania, South Carolina and Washington. 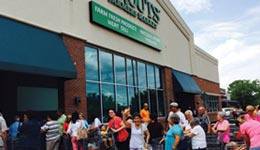 In June 2018, Sprouts opened its 300th store in Simpsonville, S.C.